This mid-September brings back the Autumn Daze Festival for its 45th year in Historic Downtown Branson! This wonderful fall extravaganza brings craftsmen and artisans from all over the Ozarks. 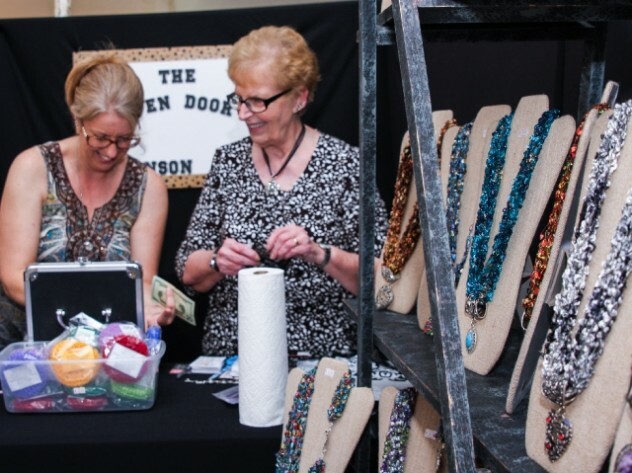 Handmade crafts, homemade foods, live entertainment are all just part of the fun brought to you by the Downtown Branson Betterment Association. Thursday, September 13 marks the start of the fun and continues till Saturday the 15th. Sparky can get you to and from the free festive fun, so you don’t miss any of it! Autumn Daze takes place at Atlantic and Commercial St., so there are many good spots to catch Sparky and ride to the event. During the Autumn Daze event, Sparky Stop #7 (Awberry Parking Lot) will not be available. Riders should use stop #5/#13 at Main and Commercial Streets. You can find a complete map of all of Sparky’s stops and routes online.